As a non-profit born in Denmark, GAME has successfully extended its operations in Lebanon – where Simon Prahm now lives with family – , in Somaliland, Italy, Greece, Malta, Lithuania, and Jordan. GAME’s mission is to create lasting social change through youth-led street sports and culture, something of a daily Olympic Games outside in the streets, may we say. Join the conversation with Simon Prahm and learn how GAME is winning its game. Jean-Christophe Nothias (JCN): What does an ordinary day in the life of GAME’s CEO look like? Simon Prahm (GAME): Well, I get up at 5:45 every morning and start my other job: being a husband and father to three super kids (aged 12, 7 and 4). My wife also works full-time in the sector and we share our household responsibilities as equally and reasonably as possible. Once the kids have been dropped at school, usually around 7:30, I head to the office where I have about an hour and a half to myself. This time offers me the best chance for focusing, jotting down ideas that have been brewing, and getting some of the smaller, practical matters finished. I spend the rest of the day working internally with our great employees in GAME, both here in the Lebanon office and back in GAME HQ in Copenhagen, and having meetings with external stakeholders. Sometimes a stakeholder is across the street or town in Beirut and it’s a personal meeting and other times it’s a video conference to Somaliland or Malta. We do our best to keep internal meetings to a minimum in GAME, and to make them as quick and efficient as possible. To do this we often schedule only 10- or 15-minute meetings as opposed to hour-long meetings, and we try to do them informally or standing up as opposed to getting too comfortable sitting down in a chair in a meeting room around a table. Probably like most CEOs I have an opinion about most things, and I have found that having too many meetings limits the freedom and performance of our staff. One thing that has made GAME so successful, I believe, is focusing on empowering our employees and encouraging them to actively use the freedom that we give them to share opinions and make decisions. Of course this means we need to be sure that people appreciate this leadership style and want to work with it. In our office we sit down to lunch together and we try not to discuss work – otherwise it wouldn’t be a break! I also try to put in a 20-minute walk during office hours a few times a week and encourage the rest of the staff to do so too. It’s great for reflection to get away from the screen and use your body when you are stuck with a challenge. That has taught me the importance of getting out and literally changing my perspective. When I come back from those brief walks I always know what to do next. Being Danish, having a good work-life balance is extremely important to me and something I value not only for my own self and family, but for everyone who is a part of GAME. On most days I leave the office by 5:00 to go home and be with the kids and help out with homework. I love to be in the kitchen, cook dinner, listen to the BBC World News podcast, and reflect on the day. Way back in the days when we started GAME I would sometimes have 100 hour weeks. Now the average is much more reasonable and sustainable, and for that I am grateful to the fantastic staff we’ve been able to bring on board. JCN: How has GAME’s mission statement has evolved over the course of 15+ years? Can you elaborate on the reasons behind that? Simon Prahm: Back in 2002 when we started out, the focus was on sports. We were young and had a big heart for basketball and wanted to share the passion with children and youth who hadn’t found their way to the sport yet. Seeing the social impact the activities had on the beneficiaries as well as the communities they were part of inspired us to rethink the method in order to do more. Young people were empowered and social housing neighborhoods became safer. One of the most significant changes we made to increase the impact and the sustainability was to shift away from paid coaches going into a neighborhood in favor of volunteer role models from those neighborhoods. Today the mission is to create lasting social change through youth-led street sports and culture. We are focused on this and really believe that one day we can become the best in the world at it. JCN: GAME has had a very steady expansion in Denmark, so scaling up domestically if we may say. How do you consider the scaling-up obsession in the non-profit sector, if we may put it this way? Simon Prahm: I think it makes a ton of sense! In the corporate sector, if you receive proof of concept in one market you wouldn’t blink before exploring how to export your product to similar markets. Why shouldn’t we do the same in the non-profit sector? I think we have a responsibility to do so if we can make the world a better place. Of course you will need to make adjustments to allow for local needs and realities, but in these globalized times a lot of youth culture transcends borders, and so do many of the challenges that young people are facing. Economies of scale helps us reach more beneficiaries and allow us to strengthen the quality by pooling the development hours from different projects into better compendiums, methods, etc. JCN: What lesson do you take out of GAME Lebanon? What was unexpected and how did that change GAME Denmark? Simon Prahm: Expanding to a new place was – is – a learning process. On a regular basis I learn something new about being here; I still get challenged and surprised. As an organization we of course learned about the Lebanese context, but in some ways entry into any new country would have changed our Denmark-based organization: we realized where we needed to be flexible, but also what was so core to our mission that it was non-negotiable. We realized the value of having good partners on the ground who really believe that sports has a role to play in the education and empowerment of young people; we realized that as great as ‘our’ method is, it is only good when it meets the needs of the community. Having said that, by expanding to Lebanon we saw how there is a huge need outside of Denmark to address the lack of access to sports and leisure time. It also showed us how Lebanese youth are eager to contribute to strengthen their communities despite the region’s reputation for lack of democracy and an active civil society. Based on some of our Lebanese lessons-learned and feedback from our volunteers here, we have adjusted some of our methods. One great example of this is how to retain volunteers from year to year: our Lebanese Playmakers (i.e., young role model volunteers) were hungry for more training and to improve their skills in working with the children and communities. So based on their recommendations we added different levels in the training of the Playmakers. Starting up in Lebanon also surprised us in one very positive way. Coming in to a context with traditional views on gender roles, we had expected that it would be difficult to engage girls and women. To our big surprise we have hit an average of 40 % girls at the sports activities and are proud to have more than 50 % female role models facilitating the activities out on the asphalt in neighborhoods across Lebanon. JCN: GAME has trained many street instructors since its very inception. Does GAME manage some sort of Alumni club (with former instructors and project leaders GAME supported with micro-grants), and do you have data to appreciate how GAME has changed their life till now? How do they stay tuned with their GAME know-how and community work? Simon Prahm: The young role models experience a significant change in personal development as they become active leaders in their community. They are usually with us for a few years, which is actually a long time compared to the norm. Some stay on for the long-term. We try to provide a career ladder for them and some become interns in the organization, while others become part time employees at our indoor facilities. And yes, we have also developed a funding mechanism to help local activities move further. 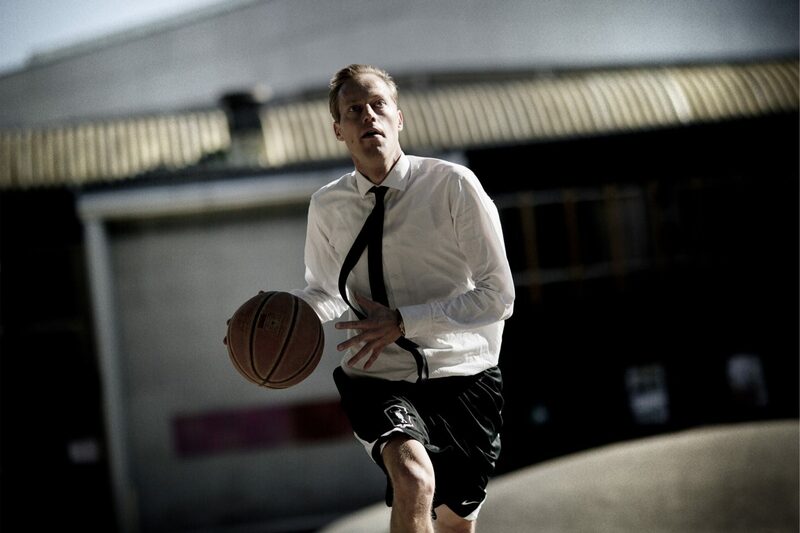 The Danish Nordea-Fonden has sponsored a new program called the Danish Platform for Street Sports. With this, GAME serves as the national coordinator for a microgranting program that disperses micro grants for street sport projects. We do this together with other street sport organizations, and in addition to giving out funds to local projects, we offer advice and support to communities interested in building a street sport project. We recently had an interesting example where a local municipality wanted to build and expensive skateboarding area in its center. We worked with them and asked them what research they had done to see if project met local needs. We encouraged them to meet with the young people in their community to get information from the source about what they would find useful. It turns out that the young people there were less interested in skateboarding and more interested in parkour. So in addition to just handing out funds, we do our best to make sure that this new program gives young people a voice and supports them as they learn how to use it. The projects include everything from support for building materials for Do-It-Yourself neighborhood skate ramps to international street sports gatherings. Over the last three-year period these projects, of which many have been organized by GAME Playmakers, have reached a total of 170,000 children and youth. We have found that GAME often provides the first professional experience for these young people – whether it is as DJs, street sports instructors or receptionists. With the current job market’s demand for not only educated but also experienced candidates, this proves quite valuable for especially the many skilled people with minority background who constitute a big part of GAME. JCN: Do Academics work with GAME, or use GAME as a ground study? Can you provide us some insight and take-out, wishes? Simon Prahm: GAME has been and is working with the academic community to provide insight to where we succeed and where we can develop our methodologies. Over the years we’ve been fortunate to have university and research partners evidence how our beneficiaries experience stigmatization and a lack of adult recognition in their everyday lives, and how GAME helps them overcome these challenges through sports and positive role modeling. The Sport for Development field is, however, not always the easiest field to measure hard impact such as SROI. This year, through a partnership with Novo Nordisk Foundation we’ve engaged a Ph.D. from the University of Copenhagen who will help us develop and document our interventions in less advantaged neighborhoods from a health perspective. JCN: Are you ready, willing, to work with other NGOs such as Generations for Peace, (Amman, Jordan)? Did you gain experience from other non-profits? Do you share knowledge or are you willing to? Simon Prahm: We are always ready to team up with others, as we are smarter together. In fact, we have made partnerships a cornerstone to growing. We constantly have to improve our methods in order to deliver more for less. This is needed if we are to respond appropriately to societal and global problems. We are working with local partners in Lebanon, Somaliland, Italy, Greece, Malta, Lithuania, and Jordan. In Jordan we work with Jordan Youth Innovation Forum and are currently working on developing a Street Sports Incubator as part of the Danish-Arab Partnership Program (DAPP), an initiative supported by the Danish Foreign Ministry. Working with local partners is crucial in order to understand and operate in a given local context. It can help your organization succeed while increasing the capacity of your partner. But it does require that you become quite clear about what you stand for. You must define what can be adjusted and what is a non-negotiable. JCN: Is violent extremism an issue for GAME instructors? How does GAME train them to deal with that? Simon Prahm: All our instructors receive training in conflict management and have a standard operating procedure to follow, when facing a threatening situation. This allows us to deal with the day-to-day disputes out on the asphalt. When we started GAME we thought we’d be able to change the life trajectory of young gang members. But what we found was that with our one-to-many method, this was beyond our capacity. What we did find that we had a good grip in their younger siblings and neighbors. This is not directly countering violent extremism, but it does have a preventive effect. JCN: As founder and CEO for GAME since 2002, where do you see your next “battle” on asphalt? Any special dream? Simon Prahm: We’re getting approached by a lot of organizations and individuals who’d like to team up and take our concepts to their corner of the world. It’s a delicate balancing act – scaling the impact into new countries, while making sure that the quality is where it should be and that GAME and the local organization really can complement and help each other and the community by working together. Luckily we have an engaged Board, including members with international corporate experience, who can help us scale while preserving our integrity. As for the dream, it is no secret that it was largely American urban culture which inspired us and sparked the formation of GAME, and we feel like we would love to give something back to the streets of American cities. But Lebanon is not Denmark, and neither is the United States – we know that there is yet a new local context and set of realities, unique to each city, each community. We are currently exploring if and where there is a place for us in the U.S. So let’s say the dream would be to find the right partner to make it happen. It will be a challenge, but this only motivates.